i think it has a set of three marks - but then not sure. 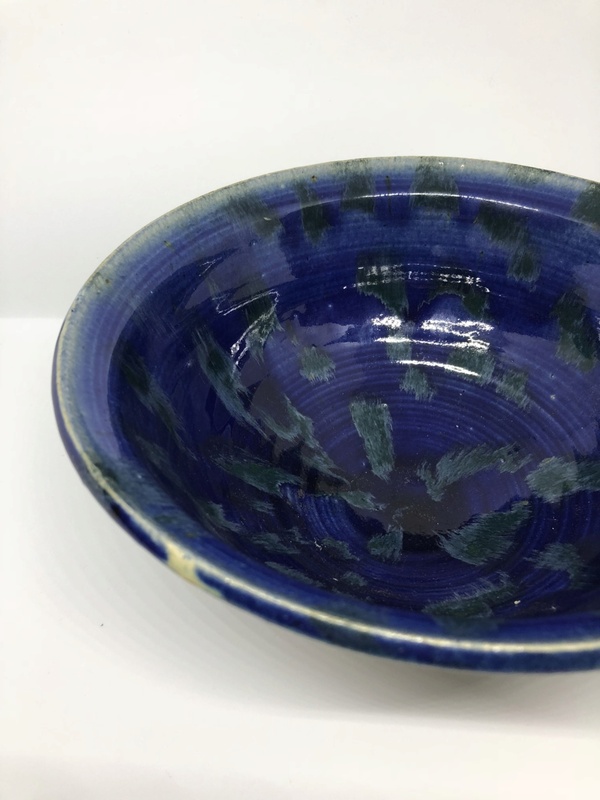 Quite a nice glaze, with a blue interior... any thoughts? Could be 9 0 for 1990. 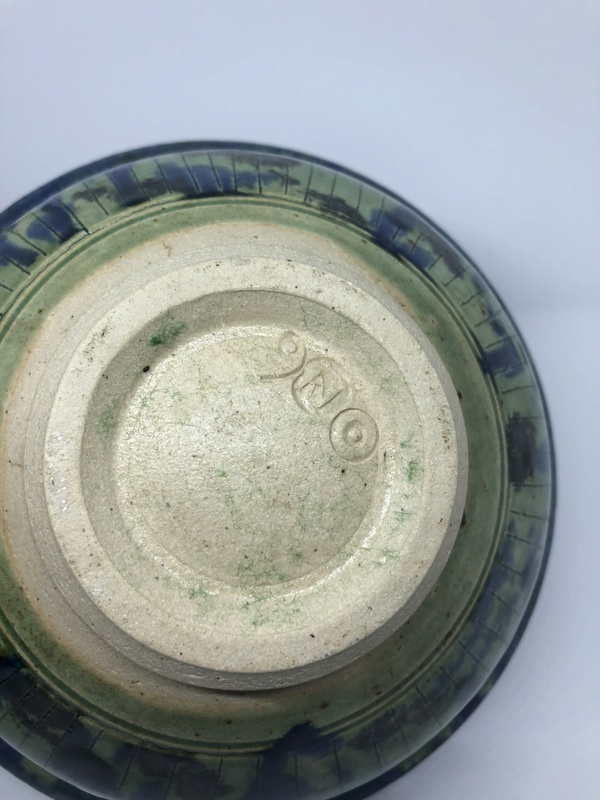 Generally when there are several marks on a piece of studio pottery, they are usually the pottery mark, and then the individual maker's. Extra marks tend to be year marks, glaze codes, shape codes, clay codes, customer codes... generally something to give extra information that the potter/pottery wants remembered. Having said all that. I don't recognise any of the pottery marks!